When you star blog or website, so you need a domain and hosting to get your website up. And most people have purchased a domain from most popular domain services like Godaddy, Namecheap etc. The problem is, because of unawareness, all of them miss getting their free .com domain or other top-level domain names like .org, .net and so on. If you want free Domain for a year, so I tell you the best way to get your free domain and help you to save your money on your domain. if you follow my way you can save your money otherwise you might end up paying extra later. 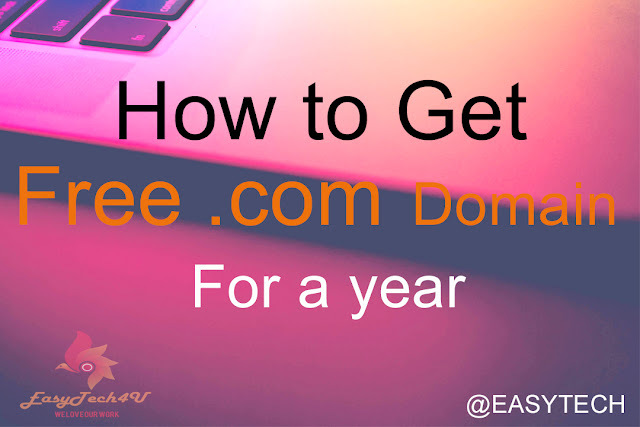 so read and every word written in this article, and understand how you can save money on your domain purchase for the first year. How You can get free Domain like .com / .org or others without paying extra? As an Example when purchasing a .com domain for year people paid at least $11 or $13 and most of us make this mistake of booking the domain first. The thing is that, we are all effector people and when we get any information about any online business or need a domain name for our offline business, we go to any domain booking website and buy a domain Are there. Most of us think that we should now book the domain and think about building a website later. This impassive behavior not only cost you extra, and most of the time we waste such domain. well, we miss here something that is we can't have our website up without a better web hosting. until unless you are using a free platform. So what you should get free .com domain? First, you need to decide the domain name and once that is decided; you need just two things to get your website up and running domain name + hosting. One thing which most of the new people miss out is, there is web hosting which offers a free domain with every yearly package. so, if you plan for web hosting in next 2-3 months, it’s a wise decision to grab one such web-hosting package, which offers free domain and you can launch your website any time. I’m giving one popular and reliable hosting company, from where you can buy hosting for a discounted price (limited time) and get one domain name of your choice for free. Bluehost is one of a most popular website in web hosting industry and they are offering unlimited web hosting with the free Email account. So, if you are planning to get your domain and Email address up, for now, you should look no further than Bluehost. All you need to do is, grab one year hosting from Bluehost ($58/year), which will give you one year of unlimited storage hosting + 1 free domain + free Email account.